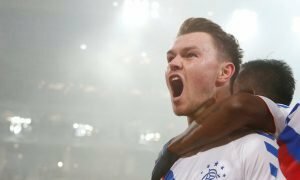 Land £3.6m-rated hero and Steven Gerrard will restore Rangers smiles at Ibrox indeed | The Transfer Tavern | News, breakdown and analysis on all things football! 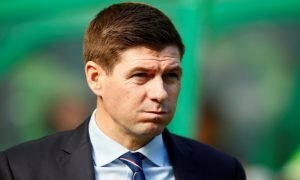 The Rangers fans gathered around the Transfer Tavern are hopeful of their team progressing under new boss Steven Gerrard as he looks to emulate his brilliant playing days by being equally as good whilst managing. Having finished in 3rd place last season, Rangers were keen to make improvements straight away this summer, presented by the quick appointment of the Liverpool legend. 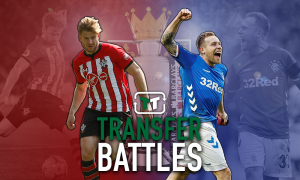 Gerrard has already adjusted his team by recruiting some new players but having been playing in the Premier League for years, our punters feel that Rangers have to be eyeing Southampton midfielder Steven Davis, who is valued at £3.6 million on Transfermarkt. Davis is an extremely memorable name around Rangers, having played in Scotland for over 200 games before moving to St Marys Stadium in 2012. The midfielder is Southampton’s captain but at the age of 33, his last years in football could be spent helping the Gers to another Premiership title as they bid to get one over on the dominant Celtic. Steven Davis suffered with injury for the last few months of the season, a big factor in why Southampton so dearly struggled to win a number of games, although their survival was made sure on the final day. Steven Gerrard will be keen to bring in a big name to control the midfield and take Rangers forward to bigger and better things. Davis will know what Rangers means to the fans and with only 1 year left on his current Southampton contract, a move now could be brilliant for Rangers.